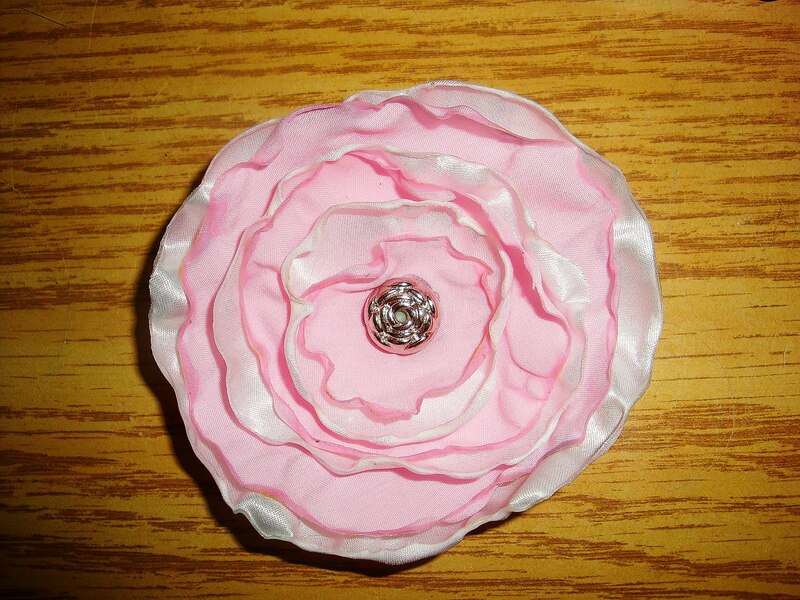 Tutorial Tuesday – Fabric Flowers – It Works For Bobbi! 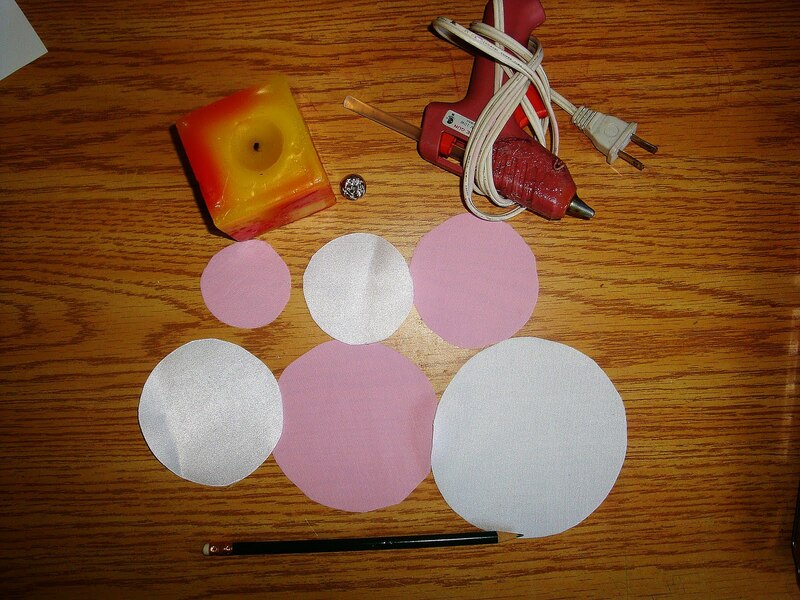 Published on August 3, 2010 August 9, 2016 by Bobbi-Jo G.
What you are going to need first are 5-7 circles in varying sizes. 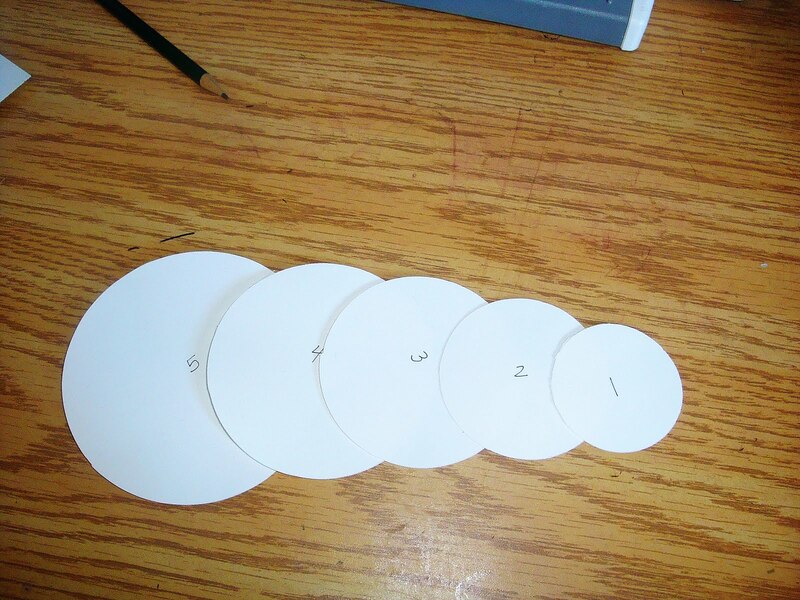 I started out with about a 2″ circle and cut out each successive one about a half inch bigger each time. I used my fiskars circle cutter, but you could just use different sized cups and containers to trace them. You can keep those circle patterns for future flowers. Okay, now you’ll need some synthetic fabric (must be synthetic so it will MELT and not just burn). Look for the silky/shiny type stuff. You can just get some from the clearance section for mucho cheapo. You also don’t need much at all. You’ll also need a candle, scissors, hot glue gun, a button or gem for the flower center, and a pencil or pen for tracing the pattern onto the fabric. As you can see, above, I traced the paper circles onto the fabric (I used two different colors, but you can do them all in one color) and cut out the circles. 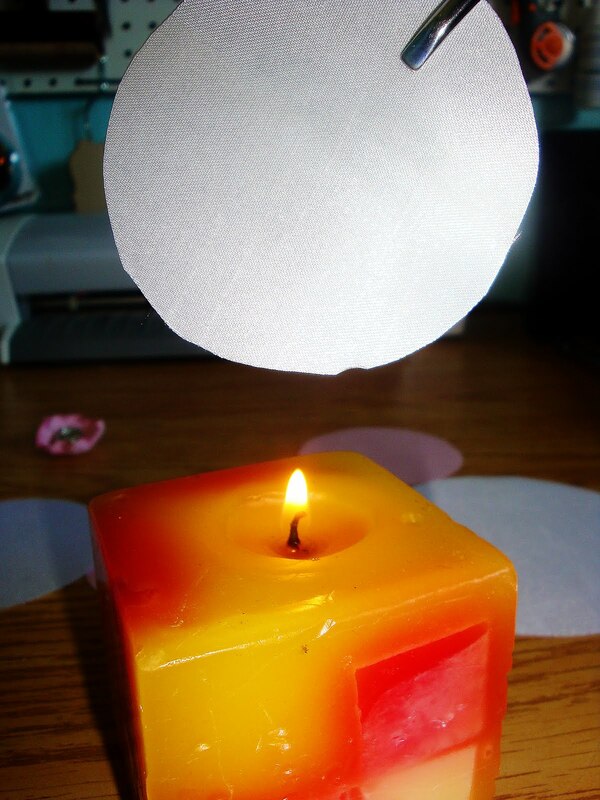 Now, light the candle and hold a fabric circle about 1-2 inches above the flame. You will see the edge start to melt and curl in a bit. 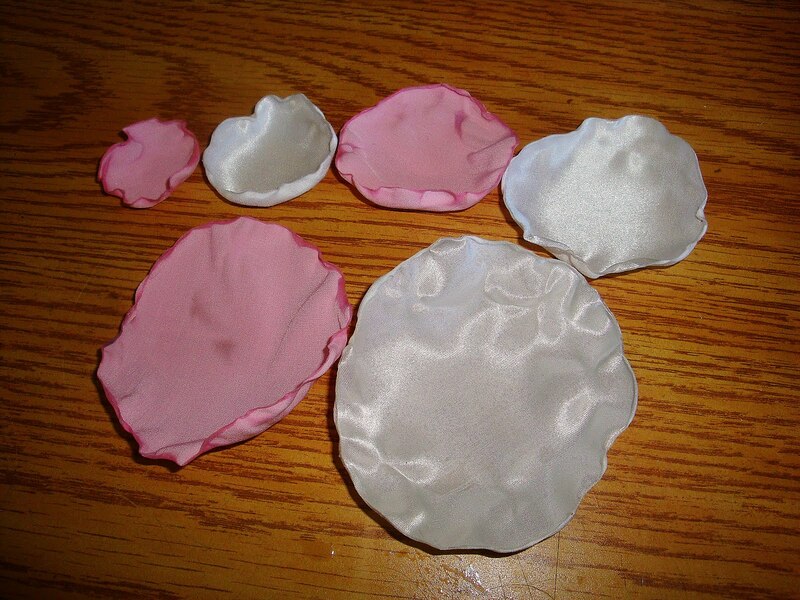 Different fabric melts at different rates, you’ll have to experiment. Keep melting around the entire edge of the circle. Simple as that! Now, you can attach to a barrette or pin and wear it on your head, on your purse, on your bag… whatever! 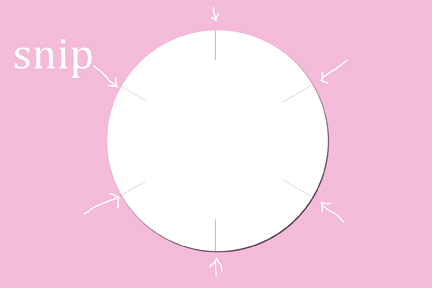 Now, if you want the flower to have more defined looking petals, simply use your scissors to make 6 small snips in towards the center of the circle around the edge of the circle – then continue with the melting steps. Did that make sense? 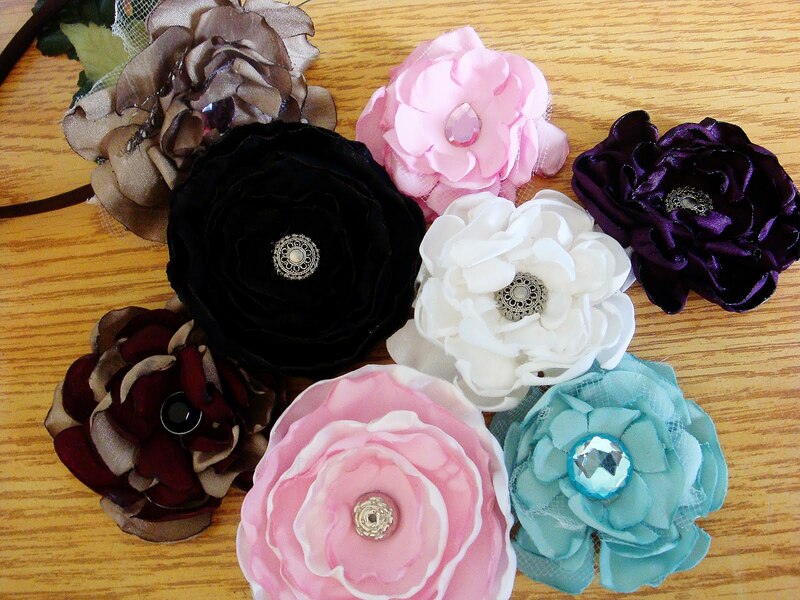 I love making these, and you’ll find SO many cute uses for these gorgeous, sassy blossoms. Previous A Photo-A-Day, Two months at a time. Love this I may have to go make a certain princess a pretty flower clip. Cute, Cute, Cute! I have a friend who made a ton of these for everyone (of the female type) to wear at her wedding. It was SO fun! Thank you! I keep spending $$ on these kinds of flowers. LOoks like something for a fun girls night activity!! This is so stinking cute! How simple as well! Thanks so much for this tutorial!! Great tutorial! The House of 3 girls would be oh so impressed with this awesome tutorial! Awesome tutorial!! Just linked up on my blog! Congrats on the How Does She! I love that site too! Wow I have always wondered how they were made! Thanks for showing. You are the greatest!